Awarded annually to deserving students who are listed on a CIS/OUA Eligibility Certificate as a member of the Carleton University interuniversity Men’s soccer team. Eligible students must comply with CIS and OUA academic eligibility requirements. Recipients will have demonstrate financial need, must be Canadian citizens or permanent residents of Canada (landed immigrant or protected persons), and must meet OSAP Ontario residency requirements. Endowed 1999, revised 2006. In 2016 the Soccer Chapter, using matching funds from Carleton University, worked with their alumni and team supporters to increase the Men’s Varsity Soccer Bursary’s endowment fund to over $75,000. 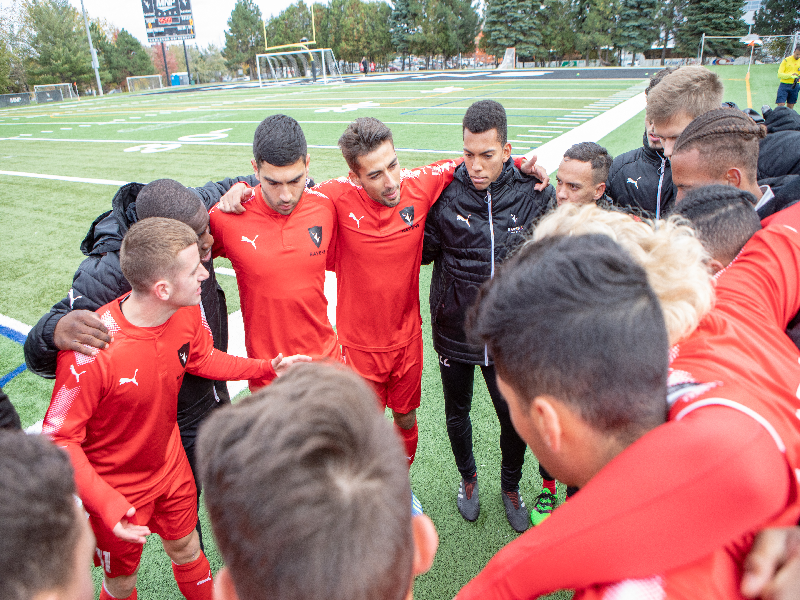 Goal: The Chapter is hoping to get the Bursary up to $100,000 and we hope you will consider supporting our Ravens Soccer athletes through a gift to the bursary. In 2018 the Bursary will disburse $3,000 towards a deserving Ravens Soccer student athlete.